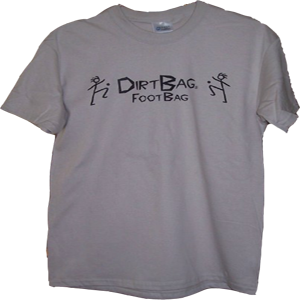 The original Dirtbag® shirts were given to Flying Clipper as a gift. 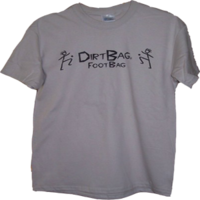 We began giving free shirts to whoever purchased more than $50.00 in footbags. The give-away was so popular that we decided to make them available to everyone. 100% cotton shirts come in medium, large and extra large sizes.